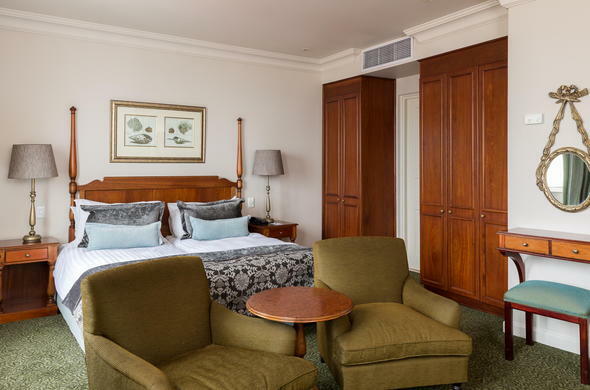 Protea Hotel Edward in Durban accommodates guests in luxury, sea-facing rooms that are elegantly decorated and boast modern room facilities. Protea Hotel Edward in Durban comprises 101 comfortable and stylish rooms. Guests can choose to be accommodated in Standard, Universal Access, Superior, Deluxe, Family and Executive Rooms or Suites. There is also one room designed for disabled guests. All of the rooms at this Durban beach accommodation have air-conditioning, electronic safes, en-suite bathrooms, satellite television and Internet access. They also feature hairdryers and bathroom amenities.